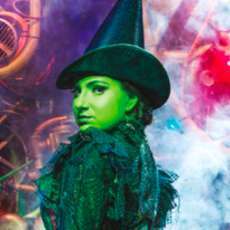 Winner of over 100 international awards, Wicked has been casting its magical spell across the world for over a decade and continues to break records at London’s Apollo Victoria Theatre, where it is already the 17th longest running show in West End theatre history. An ingenious and witty re-imagining of the stories and characters created by L. Frank Baum in ‘The Wonderful Wizard of Oz’, Wicked tells the incredible untold story of an unlikely but profound friendship between two young women who first meet as sorcery students. Their extraordinary adventures in Oz will ultimately see them fulfil their destinies as Glinda The Good and the Wicked Witch of the West.